Free economic zones are present in different parts of world and they got a prominent place in UAE. All emirates of UAE are focusing on growth of businesses by providing business opportunities in free zones established here. There are more than 45 free zones in UAE and most of these are present in Dubai. But now other emirates are also challenging the supremacy in the field of free zones. An example is Shams free zone in Sharjah. It is a newly established free zone after SAFE ZONE and Hamriyah Free zone in sharjah. 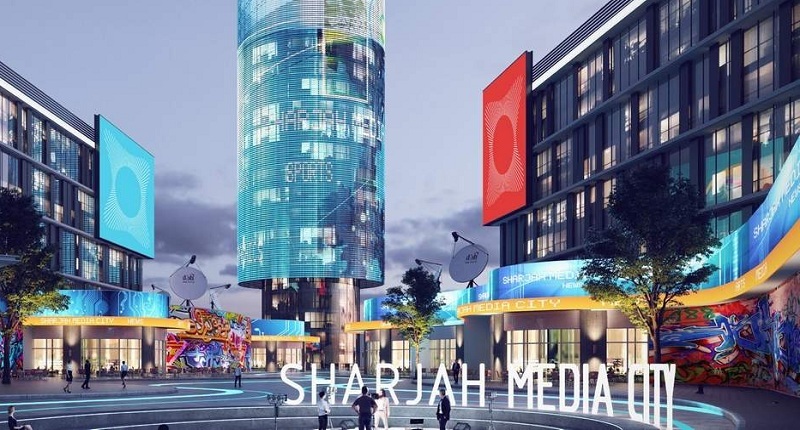 Shams or Sharjah Media City is relatively new free zone that was established in January 2017 however it managed to gain immense popularity in this short span of time. Thanks to the facilities it provide to startups and to companies of different industry. So there is no doubt that shams free zone is now one of the famous free zone in UAE. The number of companies setting up their business in Shams is increasing continuously. The reason behind this growth of Shams Free zone is due to several factors that encourage companies, startups and individuals to start their business in Shams Free zone. Being a business consultancy firm we found the following 10 most important reasons for someone to choose Shams Free zone for a new company setup. Sharjah is relatively not much expensive for new businesses compared to Dubai, so we can say that it is surely a cost-effective alternate of Dubai. Same is the case that most of the companies and individual are choosing Sharjah for their Business Setup in UAE. Shams free zone is offering such cost effective solutions to all interested client. As compared to several other free zones where rules and regulations are very strict, Shams free zone has made it easier for businesses to get approval from authorities. There is less paper work during company registration due to digitalization of the process. It usually takes 3 days to get business license for your company in Shams. Since Shams free zone is very flexible for investors so for setting up new company the free zone does not required NOC (no objection certificate) from their sponsor if the investor is carrying the UAE resident Visa. Setting up a new business in UAE has a very basic but important element which is selecting the appropriate business activity to conduct the business in territory. Shams have long list of business activities which can be selected for new business. In Shams free zone you can have wide range of business activities available on the same business license .This option is not available in other free zones in UAE. Another important advantage available in Shams free zone is the location of this specific free zone that is favorable for foreign companies. Shams free zone is just 5 minutes away from Sharjah Airport and 15 minutes from Dubai Airport. This free zone is connected with roads to link different areas of Sharjah and Dubai. Shams free zone provides several types of licenses in order to make way for multiple types of businesses. Service license (for service-providing companies), trading license (selling and exporting of goods), industrial license (production and manufacturing of goods) and holding license (for holding companies) are the four types of licenses available in Sharjah Media City Freezone. One can increase number of business activities on a single license after paying some additional fee. Company can be setup in Shams free zone remotely as the Shareholders are not required to be in shams free zone physically present in the UAE to incorporate a new company. Shareholder can sign and send the documents to free zone or its registered agent and free zone will setup the company and generate electric copies of all the documents which are acceptable by all the banks for bank account opening. After getting the trade license in the Shams free zone the investor needs to get his visa. Shams free zone has made it easier for investors and entrepreneurs to obtain visa and the foreign business owners can sponsor their family members and dependents through dependent visa. Employers can apply for up to 6 visas for their employees. Another factor that attracts investors to establish company in Shams free zone is the Bank account opening procedure .opening a bank account is a really challenging job with some of the free zones but with Shams free zone an investor can easily open a bank account in UAE. The free zone will itself provide list of those banks where Shams company owners can easily open their bank accounts. Most of the business jurisdictions don’t allow changing in the trade license such as change of business activity, change the company name or change of ownership. However Shams free zone is quite lenient in this regard and allows the business owners to make changes in their business activities if required even after incorporation of company. The process of license amendment is very easy and straight. Shams free zone introduced a new registered agent system. Investors can setup their companies through a registered agent in order to maintain the point of contact. It creates a de-centralization structure which provides fast customer service and valid information. Shams free zone does not compromise on delivery of the service.